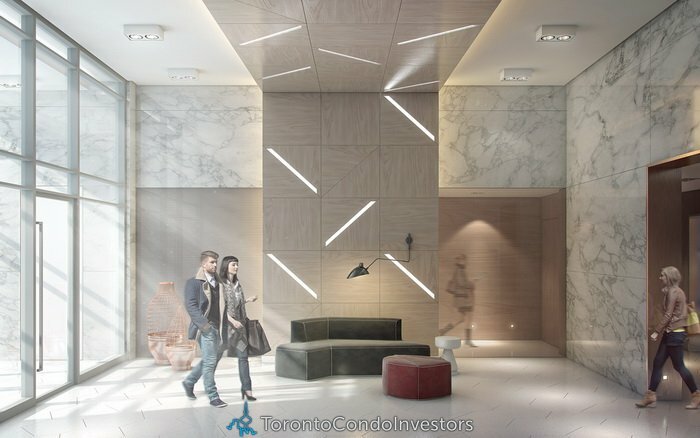 Intersection:College St. & Spadina Ave.
Deposit:5% payable on signing, 5% of the Purchase Price in 90 days, 5% of the Purchase Price in 260 days, 5% of the Purchase Price in 365 days, 1% of the Purchase Price on Interim Closing Date. Design Haus is an artful example of modern design on an intimate scale. Architecturally, the building is an eclectic mix of past and future. Perfectly blending in with the University of Toronto neighbourhood, the residence’s lower level pays homage to the adjacent neighbouring landscape. Rising 17 storeys, the building’s lower floors incorporate red velour brick cladding with white precast concrete accents. The upper level is highlighted with various shades of spandrel glass. 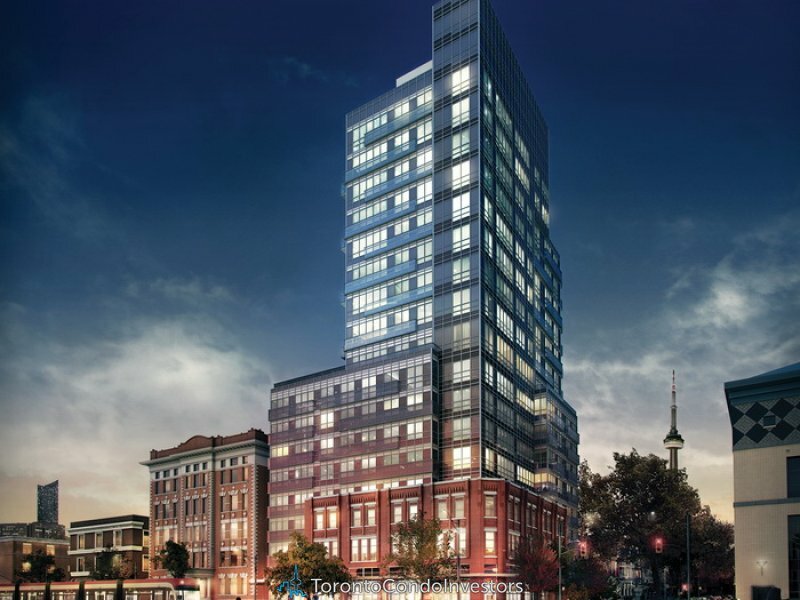 Design Haus is comprised of 116 residences and has been thoughtfully designed to capture the stunning city views to the south and The University of Toronto views to the north. 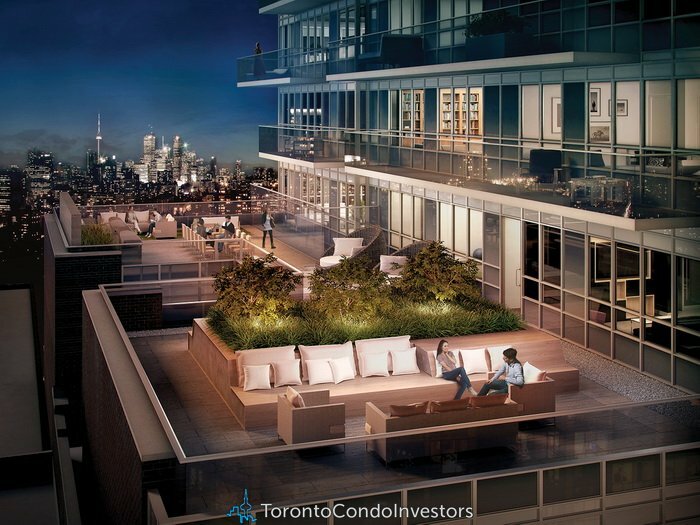 Exceptionally designed and steps to everything Toronto has to offer! Custom designed kitchen cabinetry with built-in refrigerator & dishwasher with full panel overlay. 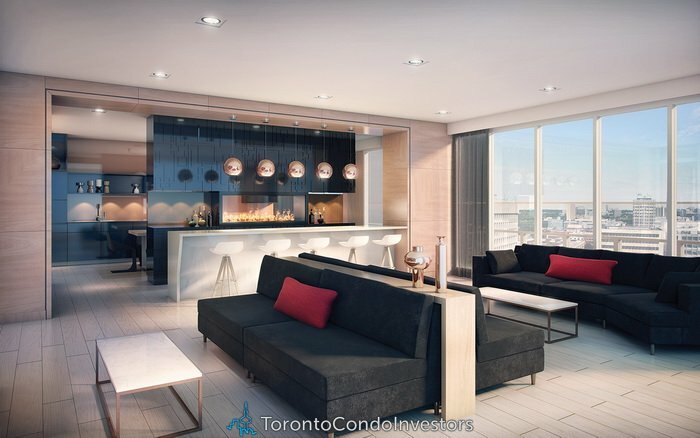 Special upper and lower penthouse features and finishes including: upgraded kitchen appliance package & backsplash, upgraded bathroom tiles, mirrored closet doors, enhanced penthouse corridor decor.